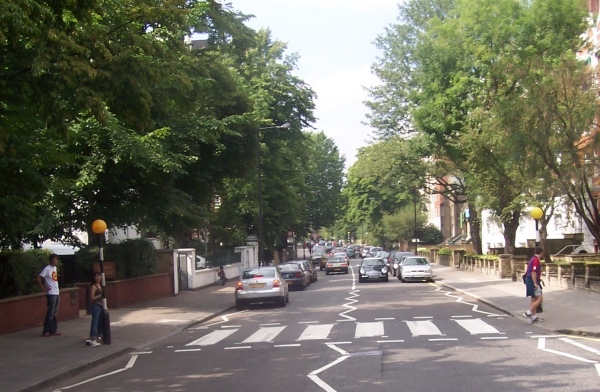 Famous for its Beatles connection (and a particular pedestrian crossing), Abbey Road in London’s north-west takes it name from, you guessed it, a former religious house. Kilburn Priory was founded at what is now the road’s northern end under the auspices of Westminster Abbey in about 1130 AD. It was eventually dissolved on the orders of Henry VIII in 1537. The religious house gave its name not only to Abbey Road but also the intersecting Priory Road and Priory Terrace, and nearby Abbot’s Place, to name a few. Of course, Abbey Road is famous for being the location of EMI’s Recording Studios (later renamed the Abbey Road Studios, they are located at number three at the southern end in St John’s Wood) where the Beatles and many others, including Shirley Bassey, Yehudi Menuhin, Max Bygraves and Cliff Richard, recorded albums (it’s also been used for recording film scores including for Star Wars, Raiders of the Lost Ark, The Lord of the Rings trilogy and the Harry Potter films). The Beatles named their last studio LP after the street and the album’s cover shows the four of them walking across the aforementioned famous zebra crossing just outside the studio. The crossing, which attracts a steady stream of tourists year round, was given Grade II-listed status in December 2010. The studios are also Grade II-listed. Abbey Road was also the site of the founding of the Abbey National Building Society, now Santander UK, which was founded in a church here in 1874. This month marks 50 years since The Beatles’ final public performance – a seemingly impromptu concert which took place on a Savile Row rooftop on a freezing day in 1969 (but was actually held to record the final scenes of a film they were making). The unannounced concert on 30th January was only 42 minutes long and featured five songs – including Get Back, I’ve Got A Feeling, One After 909, Dig A Pony and Don’t Let Me Down, some of which were played more than once (as well as various other song snippets). As well as band members John Lennon, Paul McCartney, George Harrison and Ringo Starr, Billy Preston had been brought in as a keyboardist. The event, described in RollingStone as the band’s first “truly live” performance in more than two years, took place on the roof of the headquarters Apple Corps, then located at 3 Savile Road, which was the corporation the group had founded as an umbrella organisation for its various business ventures including Apple Records. The performance, which famously ended with John Lennon saying “I’d like to say thank you on behalf of the group and ourselves, and I hope we passed the audition”, was filmed and recorded and 21 minutes of the footage featured in the 1970 documentary, Let It Be. The Fab Four’s concert was eventually shut down by the Metropolitan Police – located just up the street at number 27 – over noise and traffic issues but no arrests were made (Ringo later wrote about his regret at not being dragged off by them). Famous around the world as the home of bespoke tailoring in London, Savile Row owes its name – like so many other streets in Mayfair – to landowner Richard Boyle, the 3rd Earl of Burlington. Burlington (1612-98) resided at Burlington House (now home of the Royal Academy of Arts) on Piccadilly and after his death the land around his former home was developed and the streets named for Burlington and members of his family. Among them was his wife, Lady Burlington, née Lady Dorothy Savile, after whom Savile Row was named. Laid out in 1695, the street was actually located on the site of the former kitchen gardens of Burlington House and was given its name (originally Savile Street) in the 1730s. The first to reside here were apparently mostly military and politicians (these included PM William Pitt the Younger) and it was only in the early 19th century that the first tailors started to set up shop here. With clients including society dandy Beau Brummell (see our our earlier post here) and the Prince Regent (later King George IV), the street’s fame grew rapidly and continued into the 20th century when customers included some of the biggest names in Hollywood – Cary Grant, Bing Crosby and Frank Sinatra among them. Among the famous tailoring firms still operating in Savile Row are Anderson & Sheppard (at number 30, it’s where the Prince of Wales has his suits made), Henry Poole (at number 15, Victorian-era owner Henry Poole is credited as the inventor of the tuxedo), and Hardy Amies. Headquartered at number 14 (with a shop at number 8), Amies gained an international reputation when appointed dressmaker to Queen Elizabeth II in 1955/the address was previously owned by the playwright Richard Brinsley Sheridan and was also the address Jules Vernes gave Phileas Fogg in Around the World in Eighty Days). One last tailor worth a particular mention is that of Tommy Nutter, who set up shop at number 35 in the late Sixties with a nameplate out front simply reading Nutters and shocked traditionalists with his modern take on tailoring – this modern approach continues among some tailors in the street even today. The street also has a famous claim in the story of the Beatles – the moved their company Apple Corps Company into number 3 in July, 1968, and it was on the roof of this building that they played their last live gig on 3rd January, 1969. The London Underground’s first railway journey took place on 9th January, 1863, and to celebrate we’re taking a look at 10 great Victorian-era projects in London. 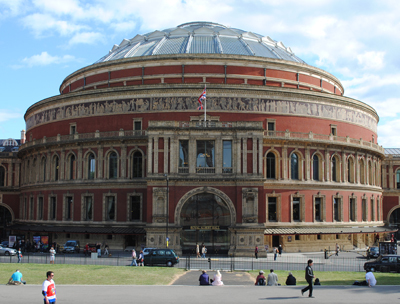 First up is Royal Albert Hall in South Kensington. Opened on 29th March, 1871 (and in continuous use ever since), Royal Albert Hall was built in fulfilment of Prince Albert’s dream of creating a hall that would stand in the heart of the South Kensington estate and provide a focal point for the promotion of the arts and sciences. It was on the back of the success of the Great Exhibition held in Hyde Park in 1851, that Prince Albert, Prince Consort to Queen Victoria, proposed the creation of a permanent arts and sciences precinct in South Kensington and advised the purchase of land for that purpose (the hall is located on land once occupied by Gore House). But it wasn’t until after his death in 1861 that his vision was actually realised. Construction of the hall – which was to serve as the centrepoint of the cultural precinct which became known, somewhat derisively, as Albertopolis – started in April 1867 (initially to be known as The Central Hall of Arts and Sciences, the hall apparently had its named changed to the Royal Albert Hall of Arts and Sciences by Queen Victoria while she was laying the foundation stone on 20th May that year – around 7,000 people attended the event). It was designed by engineers Captain Francis Fowke and, after his death, Lieutenant Colonel Harry Darracott Scott, based on concepts put forward by the man described as the “driving force” behind the project, Henry Cole (later the first director of what is now the Victoria and Albert Museum). He had been inspired by the Roman amphitheatres he had seen while touring in southern France. While initial proposals had suggested the hall would accommodate as many as 30,000 people, this was later scaled back to about 7,000 (and today the figure is apparently about 5,500 thanks to fire regulations). The central auditorium, measuring 185 feet by 219 feet, is covered by a glazed dome constructed of wrought iron girders and was the largest structure of its kind in the world at the time of its building. The hall’s exterior was built from about six million red bricks and features an 800 foot long terracotta frieze showing figures engaged in a range of cultural pursuits. Much of the interior decorative detail was added later. So overcome was Queen Victoria at the building’s opening in 1871 that Edward, the Prince of Wales, had to speak in her place, declaring it open on her behalf before a crowd which included then Prime Minister Benjamin Disraeli. 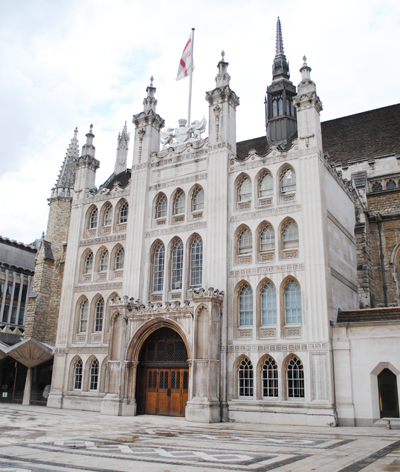 Her only reported comment on the hall was that it reminded her of the British constitution. The Grade One listed hall – which thankfully only suffered minor damage during World War II bombing raids (the German pilots apparently used its bulk as a navigation aid) – has since undergone substantial modifications including works undertaken to improve the hall’s acoustics, the replacement of gas lighting (electricity was first demonstrated in the hall in 1873) and demolition in 1889 of an adjoining glass conservatory to its south. A massive programme of improvements was carried out between 1996 and 2004 at the cost of more than £69 million. The list of those who have performed or spoken at the hall reads something like a who’s who – among them are classical composers Wagner, Verdi, Elgar and Rachmaninov, singers and musicians including Frank Sinatra, Jimi Hendrix, The Beatles, The Who, Eric Clapton, Elton John, Adele, and Jay Z as well as sports personalities including boxer Mohammed Ali and tennis player John McEnroe, explorers like Sir Ernest Shackleton, world figures such as Queen Elizabeth II, Sir Winston Churchill, former South African president Nelson Mandela, the Dalai Lama and former US president Bill Clinton and other high profile personalities such as Albert Einstein, Alan Ginsberg and Paul Robeson. Among the other events held in the hall have been a marathon race, Greco-Roman wrestling and two Welsh National Eisteddfod’s (in 1887 and 1909). One of the most popular series of events now held there each year are the BBC Promenade Concerts, known as The Proms they include more than 70 events, which have been held in the hall since World War II. A Victorian masterpiece. For more on the hall, see www.royalalberthall.com. 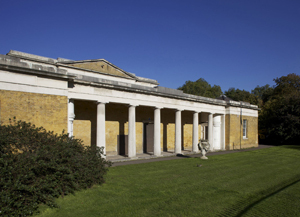 • News this week that The Magazine building in Kensington Gardens – which dates from 1765 and was built to house munitions initially intended to help repel a Napoleonic invasion – is getting a new lease of life as an art gallery. The Royal Parks have awarded the Serpentine Gallery a contract to create a new art space – the Serpentine Sackler Gallery – in the building. Pritzker Prize architect Zada Hadid will oversee the renovation of the building which will be open in time for the Olympic Games in 2012. PICTURE: John Offenbach © The Royal Parks and Serpentine Gallery. • A Blue Plaque commemorating singer, songwriter and one-time Beatle John Lennon’s stay in a house in Marylebone was unveiled last month. Yoko Ono unveiled the plaque at 34 Montagu Square, where she and John lived in the basement and ground floor flat in the latter half of 1968 when Lennon was working on The Beatles’ White Album. It was the first home the couple shared and, while Lennon lived at a number of London addresses between 1963 and 1971, of those that survive it is the home he occupied for the greatest period. Previous occupants included Ringo Starr, Paul McCartney and Jimi Hendrix. • ON NOW: Titanic: The Artefact Exhibition will be held at the O2 from 5th November until 1st May. The exhibition traces the Titanic’s final journey, from Cherbourg on 10th April, 1912 to its sinking with the loss of 1,500 lives after striking an iceberg three days later. Featuring more than 200 artefacts from the ship, the exhibition includes recreated interiors from the ship. Tickets start at £13 for adults. For more information, see www.titaniclondon.co.uk.